The Upper Silesian Industrial District is not only the today coal and steel region, but also a very old mining centre of lead-ores with silver admixture, to be called in the former times the silver carrier ore and the mining of iron-ores which in the past centuries formed this land. Later on, came time for mining of zinc-ore and coal. The first documentary mention of the lead-ore mining has dated from 1136. 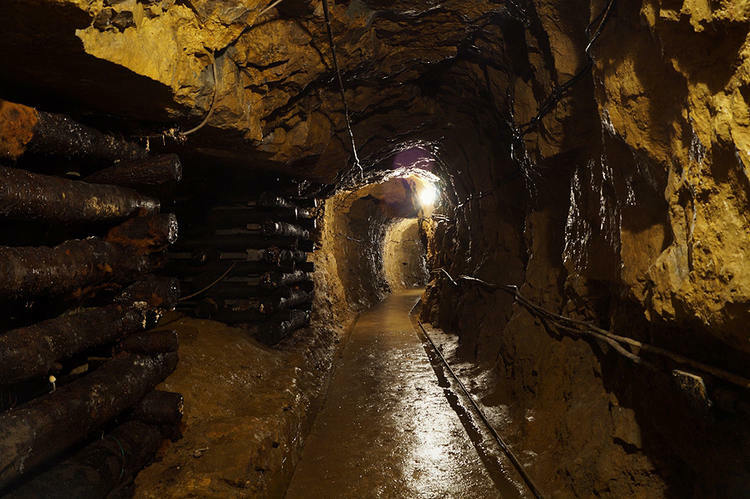 A lot of labyrinths, galleries and underground chambers have remained after the zinc-lead ores mining. If you are disirous to see the beauty of these undergrounds, visit therefore, restored for tourists the underground tourist routes, they are the Historic Mine and the "Black Trout" gallery.